The story goes that in the early stages of the protracted Afghan war, U.S. special forces rented a donkey from a nearby village. Rather than carry them across steep mountain passes, the donkey was supposed to haul their extra gear. The problem was, when they got to the mountain, they realized they needed another one. What ensued was a moment of awkwardness. Okay, so you may or may not believe the anecdote above. It’s fine, since that is merely illustrative of a strategic dilemma U.S. soldiers continue to face in Afghanistan. The terrain over there really isn’t suited for traditional military campaigns that generals love to war game over, being mountainous, dusty, and darn cold. Then there’s the problem of hauling so much equipment up and down the boondocks. A prominent defence contractor thinks exo-suits can do the job. 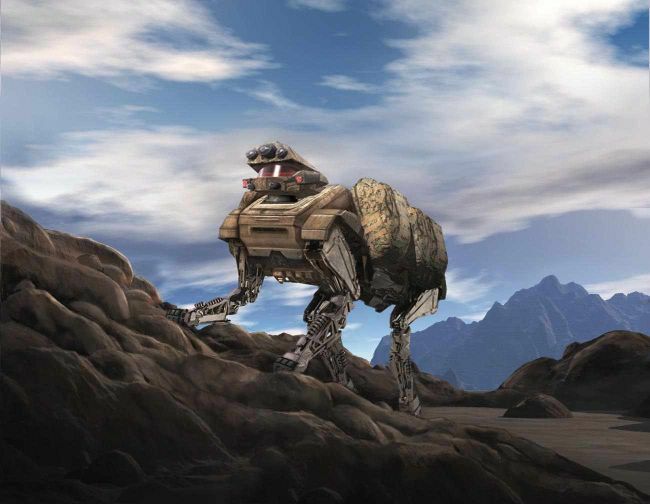 On the other hand, Boston Dynamics have a better solution: a four-legged walker designed for rugged and steep terrain. Say hello to AlphaDog.